Wilfred served as a Private First Class, 32nd Photographic Squadron, 5th Reconnaissance Group, U.S. Army Air Forces during World War II. He resided in Union County, Oregon prior to the war. He enlisted in the Army on March 26, 1943 in Spokane, Washington. He was noted, at the time of his enlistment, as being employed in the building of aircraft and also as Single, without dependents. Wilfred was a passenger on the S.S. Paul Hamilton (Hull Number 227) when the ship was sunk off Algiers in the Mediterranean Sea by a aerial torpedo dropped by a German Ju 88 bomber. The ship sank within 30 seconds due to the high amount of explosives on board. A total of approximately 580 men where lost. Wilfred was declared "Missing In Action" in this sinking during the war. The U.S.S. Lansdale (DD-426) and the S.S. Royal Star were also sunk in this attack. The Lansdale had a loss of Forty-seven officers and men. The Royal Star lost only one member of their crew. The Lansdale received four battle stars for World War II service. 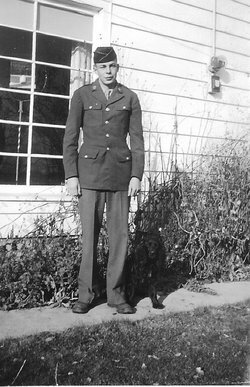 Find A Grave, database and images (https://www.findagrave.com : accessed ), memorial page for PFC Wilfred L Twidwell (1923–20 Apr 1944), Find A Grave Memorial no. 56250915, citing North Africa American Cemetery and Memorial, Carthage, Tunis, Tunisia ; Maintained by CWGC/ABMC (contributor 6) . your computer for PFC Wilfred L Twidwell memorial. I thought you might like to see a memorial for PFC Wilfred L Twidwell I found on Findagrave.com.